To determine the value of low-dose whole-body CT (WBCT) in the management of patients with multiple myeloma (MM) and precursor states. The study group comprised 116 patients (mean age: 68 ± 11 years, 48% women) who underwent WBCT for the work-up or surveillance of MM or MM precursor disease. WBCTs were reviewed for the presence of MM-related bone disease and incidental findings requiring therapy. The medical records, results from bone marrow aspirations and biopsies and follow-up imaging studies were reviewed to assess the influence of WBCT on patient management. Whole-body CT led to a change in management in 32 patients (28%). 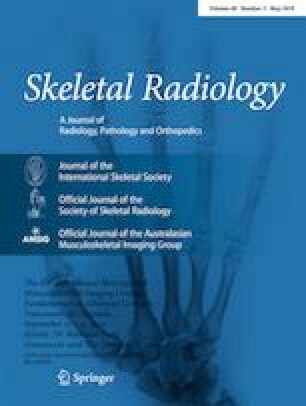 Of those, 17 patients with MM precursor disease were found to have MM-related bone disease, 13 patients had progression of MM, requiring a change in treatment, in one patient hepatocellular carcinoma was diagnosed, requiring a change in therapy, and one patient had a rib lesion requiring intervention. In 65 patients (56%), WBCT was performed for surveillance of MM precursor disease or stable treated MM, and did not detect new lesions, thereby providing reassurance to the hematologist on disease status and management. In 15 patients (13%) WBCT was performed as a new baseline before a change or new therapy. In 4 patients (3%), WBCT was performed for a change in symptoms, but did not detect lesions that would lead to a change in management. Whole-body CT provides important information for disease monitoring and detection of incidental findings, thereby improving the management of patients with MM. All procedures performed in studies involving human participants were carried out in accordance with the ethical standards of the institutional and/or national research committee and with the 1964 Declaration of Helsinki and its later amendments or comparable ethical standards. Informed consent was waived for this retrospective study.